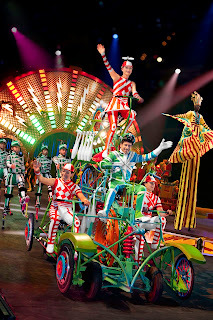 Ringling Bros. and Barnum & Bailey Circus is coming to Utah! into the most electrifying circus experience ever at the all-new show Fully Charged, where megawatts of thrills explode off the arena floor with breathtaking dare-devilry, superhuman stunts and never-before-seen performances that will energize Children Of All Ages! Tabayara, a dynamic animal trainer whose rare ability to communicate with animals allows him to ride rearing stallions at a fully-charged gallop, orchestrate majestic four-ton Asian elephants in a symphony of dance and stand inside a cage, eye-to-eye with 12 ferocious tigers. Audiences will feel the earth shake when The Brothers of Brawn, who are as wide as they are tall, enter the arena. The strongman duo will lift large telephone poles and twirl them above their heads while acrobats balance atop, sustaining up to half a ton total weight. The fearless Fernandez Brothers dial up the thrills on the Twin Turbines of Steel, including extreme jumps and twists inside the moving wheels! Audiences will crackle with excitement as they watch Guillermo perform a 360-degree, flying-forward somersault, three stories in the air. The Danguir Troupe thrills on the high-wire as they execute dangerous stunts and for the first time ever a shoulder to shoulder leap, three stories high! Sparks will fly as The Human Fuse (Brian Miser) sets the arena sky ablaze as he rockets through the air at 65 miles per hour from his self-made human crossbow. Ever wonder how many clowns it takes to change a light bulb? Hilarious hoopla ensues with the comedic duo of Stas and Vas plus the clowns from the world-famous Ringling Bros.® Clown Alley, will send jolts of laughter shooting straight to the audiences' funny bone with hysterical silly antics and clownish comedy. Be sure to arrive early to join us for several exciting interactive elements before the show starts! Opening 90 minutes prior to each performance, all ticket holders are invited to tour the Animal Open House to get up-close with our amazing animals. 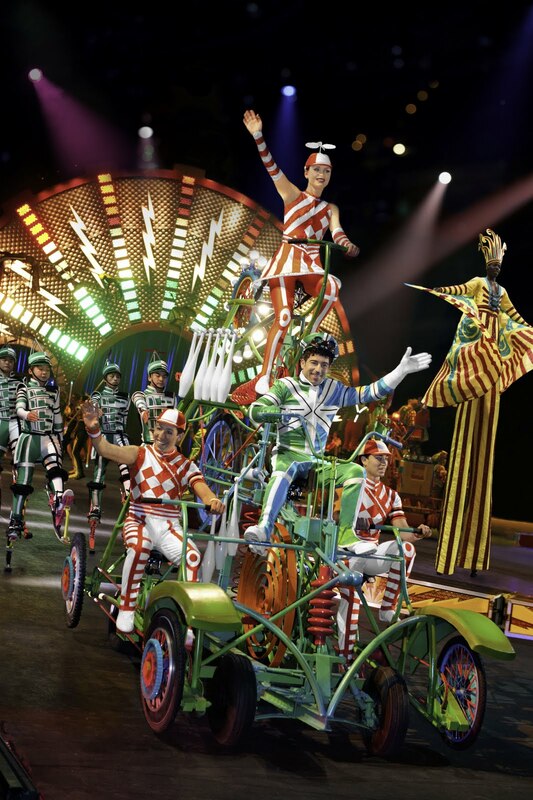 Then one hour before show time, families can step onto the arena floor to meet the performers, try on costumes, learn circus skills through the CircusFit® program and get a chance to see a remarkable elephant paint a masterpiece at the All-Access Pre-Show Power Up Party. Both fun-filled activities are FREE with a purchased ticket! TICKETS: Ticket prices range from $16, $25, $38 (VIP), $57 (Front Row) and $82 (Circus Celebrity) plus Kids tickets are only $10 each (not valid for any premium seating); additional service charges, handling or facility fees may apply. Tickets are available from the EnergySolutions Box Office and all SmithTix locations, by calling (801) 355-SEAT or (800) 888-TIXX and online at www.energysolutionsarena.com or www.smithstix.com.